This is my first Nerd Block review. 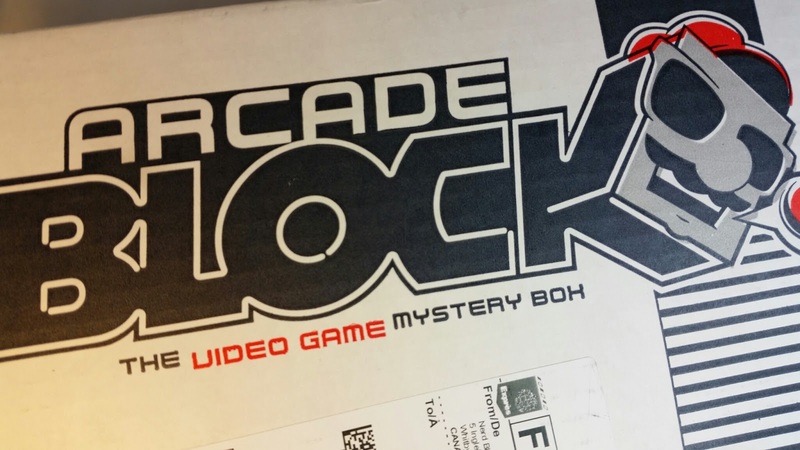 This is the November 2014 Arcade Block and in my opinion it might be the best gamer box I've ever received. Mostly because everything in it is something either I or my husband know and love. 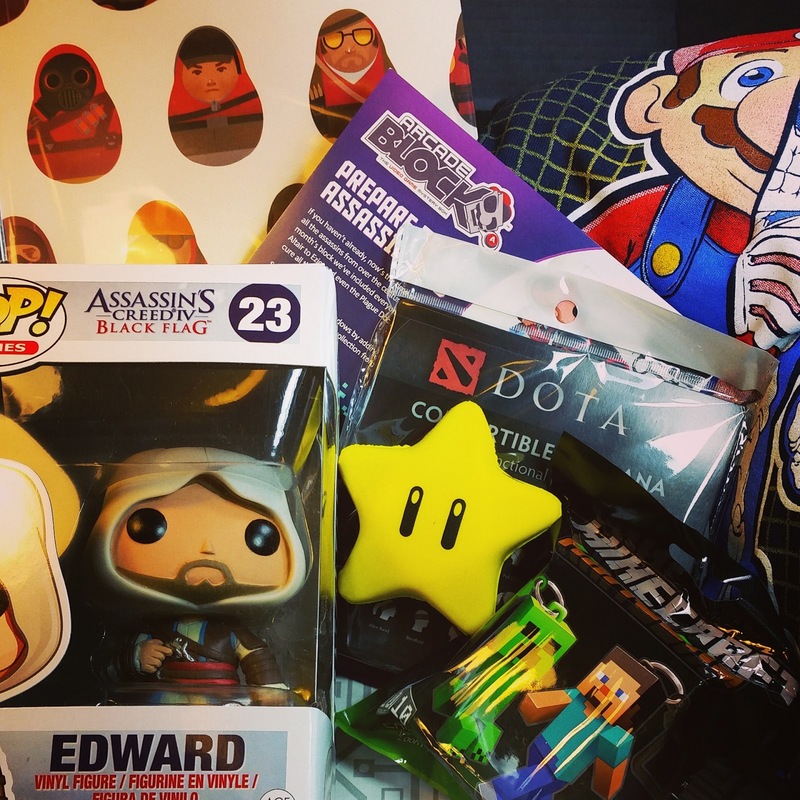 What You Get:a monthly mystery package delivered right to your door filled with nerdy apparel, toys, and collectibles! Every Nerd Block comes with a custom t-shirt (in your size) and 4-6 epic items for you to tear into! 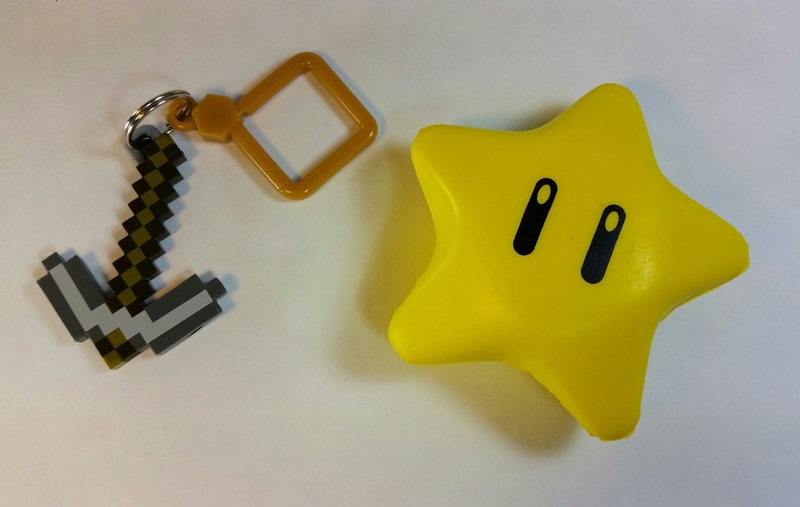 Nerd Block is a Canadian company and they ship to many countries worldwide. Here's the list: Australia, Canada, Belgium, Denmark, Finland, France, Germany, Hong Kong, Hungary, Iceland, Ireland, Lithuania, Luxembourg, Malaysia, Malta, Netherlands, New Zealand, Poland, Portugal, Singapore, Spain, Sweden, Switzerland, Turkey, United Kingdom (Great Britain), and United States. I sort of wanted to weep tears of happiness when I saw that the Funko Pop! Figure was Assassin's Creed Black Flag. Then when I saw it was Edward, I realized that this was the best gamer subscription box I'd ever received. Forget all the other awesome stuff, that one thing MADE this box for me. Funko Pop! 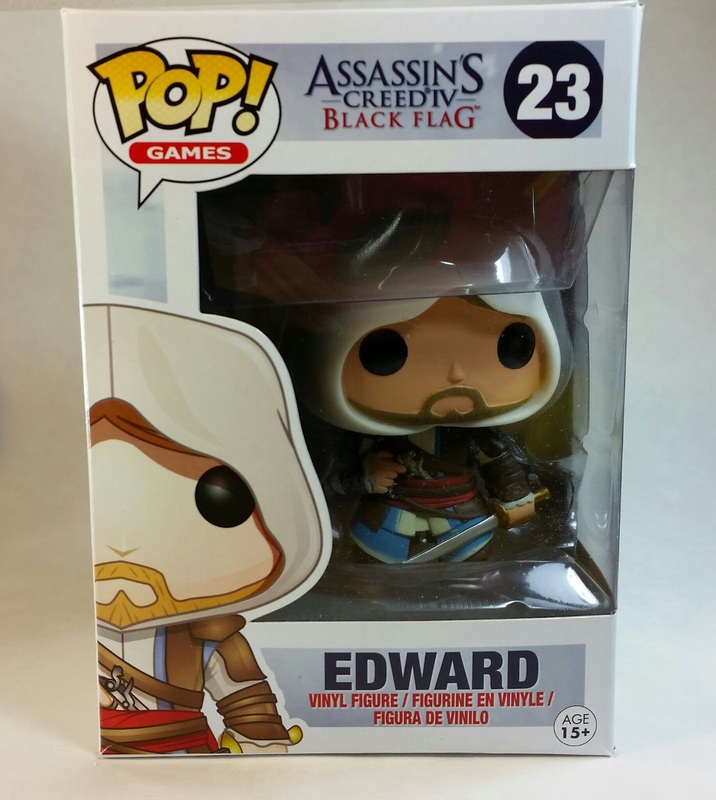 Games Vinyl Figure- Assassin's Creed Black Flag Edward- Sooo... Yeah. I watched my husband play pretty much the entire game and loved it. I don't play because I get motion sick but I loved watching it. He finished Unity a few weeks ago. I didn't watch as much of that because I was busy but I did get to sit and watch some of it. Anyway, LOVE IT! I need to get a shelf for the computer room so that we can display these appropriately. 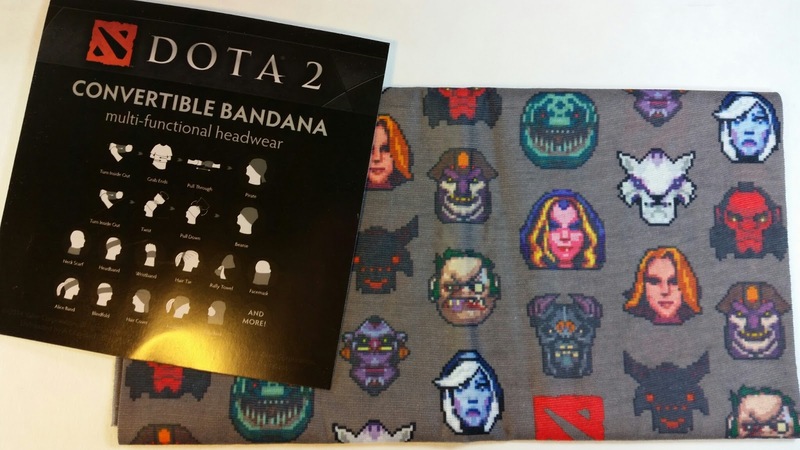 Dota 2 Convertible Bandana- So this is totally ridiculous but it's going to make my husband happy. He is playing Dota right now. I just asked and he is Sandking right now. I even watched the International TI4 Dota tournament when Newbie won. We had a giant three day party for that. My house was a big LAN party while everyone played Dota and watched Dota at the same time. So fun! So while this is silly, it will be funny to give to him in his stocking. 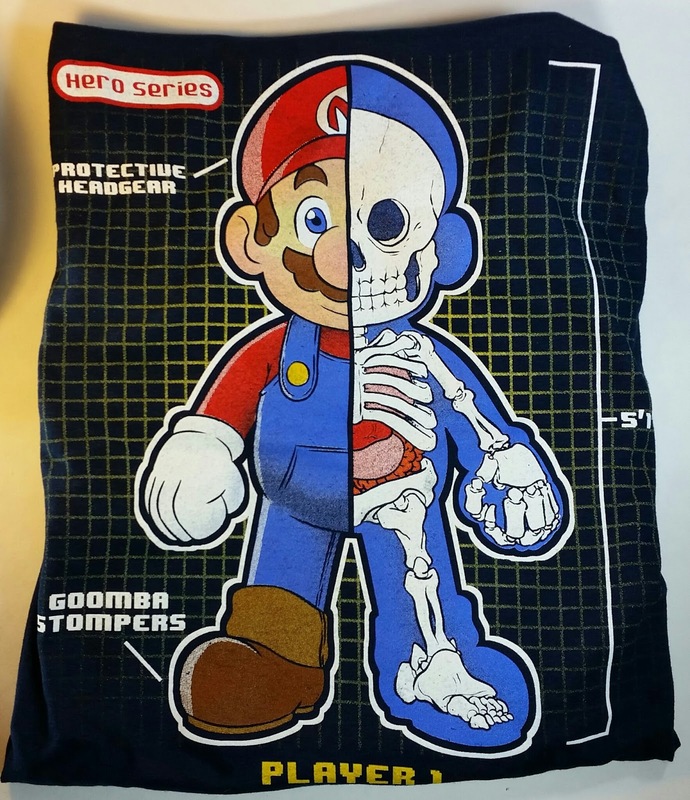 Super Mario T-shirt- Poor guy, he's only 5'1"! That's as tall as me. Or as short, I mean. I'm pretty sure everyone has play Super Mario Bros. I learned to play on the original Nintendo. We used to have sleepovers at my grandma's house and play this all night. I think I was eight when it came out. Perfect age to get hooked on gaming, I guess. Since I'm still gaming now (I'm playing Dragon Age: Inquisition). Minecraft Hangers- I accidentally threw out the packaging for this Minecraft pickaxe so it's not in the picture. We have a sword already and this will be added to the collection. I think the pickaxe is better than the sword. Mario Bros. Super Star- This is a stress ball for when you're feeling like you've got a long way to go, a lot of enemies and only one life left. :D I like it! 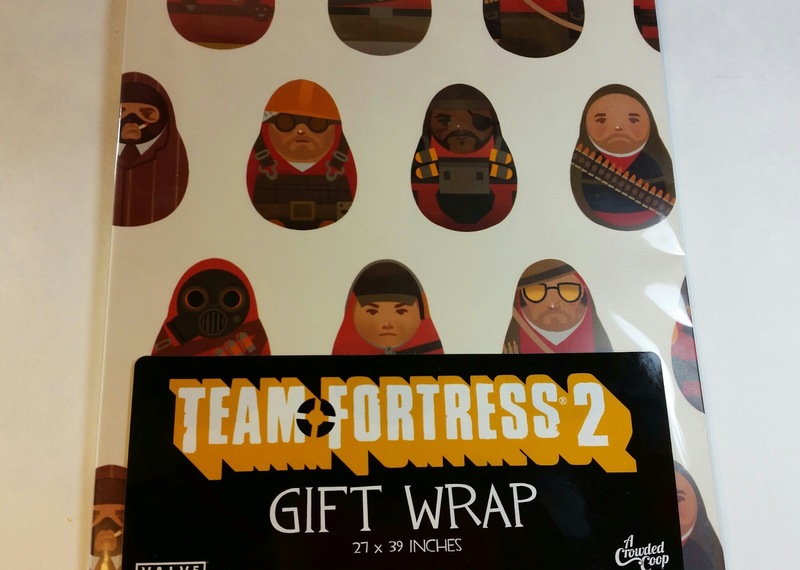 And then because it's Christmas and you need to wrap your geektastic gifts, Nerd Block included some Team Fortress 2 Gift Wrap!! Which I'm totally using for DH's presents. I need to start wrapping, too. Ugh. So much wrapping ahead of me! VERDICT: Amazing!! I loved this box! Nerd Block just won me over big time with this box. I was not happy with the price of shipping to begin with but now... Maybe it's worth it! This one was worth it. I'm definitely glad I got the Arcade box. It's definitely what I'm looking for genre wise. There is also a guaranteed T-shirt in every box which the cheaper competitor does not offer. I think I might have to subscribe for another month and see if this great selection of games and products thrills me as much. The value isn't outrageous but the contents are SO worth it. If you want to sign up for Nerd Block, you can do that right here. They have several kinds to pick from. This one is the Arcade Block and I think it's probably the one I will stick with. I'm more about games than Dr. Who and that sort of thing. You have until the 9th to sign up and get a December box. If you wait too long you'll miss out on December's Block and get January's instead.